The "spill-over" of the Darfur crisis into Chad is not a surprise to the President of Sudan, Lt. Gen. Omar al-Bashir: "Frictions and conflicts have always existed between the tribes", he states. 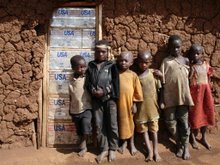 According to the President, the entire "Darfur problem" is fabricated and exaggerated by foreign parties. 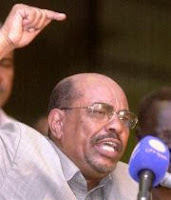 Click here and read these and other statements made by President al-Bashir in a recent interview published in the Asharq Alawsat Newspaper. The link is to an excerpt at the weblog Sudan Watch published Saturday Feb. 17.